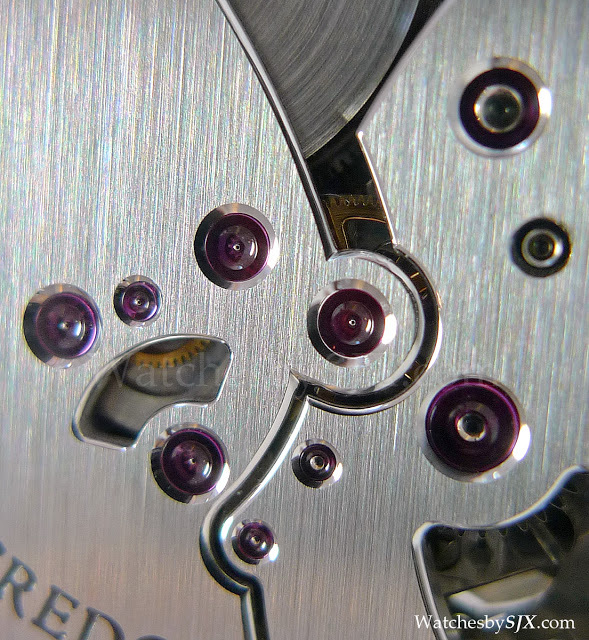 Made by the Micro-Artist Studio at Seiko-Epson in Shiojiri, the Seiko Credor Spring Drive Minute Repeater is a hand-made and hand-finished to the most obsessive standards. 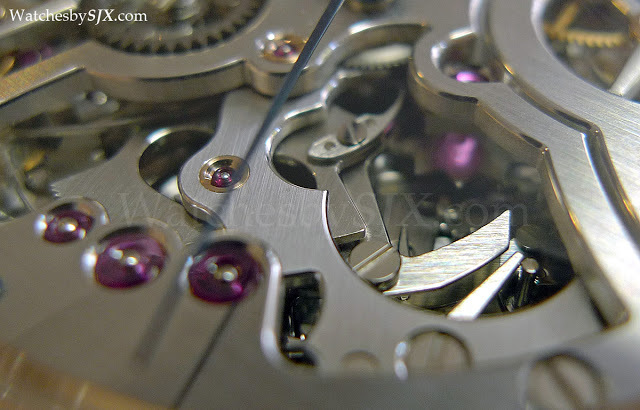 As I wrote earlier in my article on the Credor Eichi, the movement finish executed at the Micro-Artist Studio is done according to the tutelage of no less than Philippe Dufour. 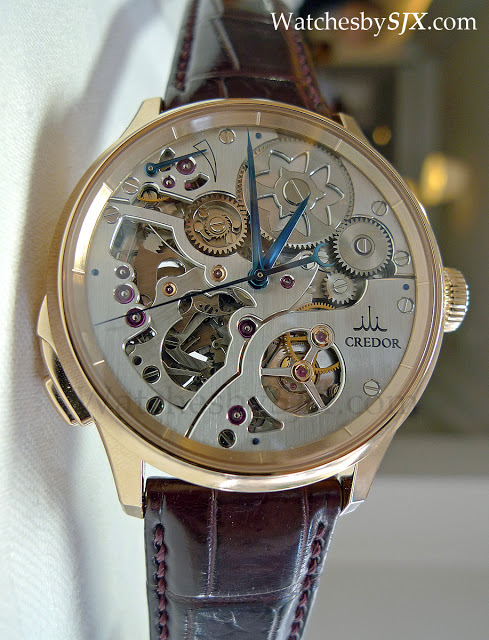 The Credor Minute Repeater (ref. GBLS998) is Seiko’s most expensive and complicated watch, retailing for a nearly unfathomable JPY34,650,000, or about USD418,000. 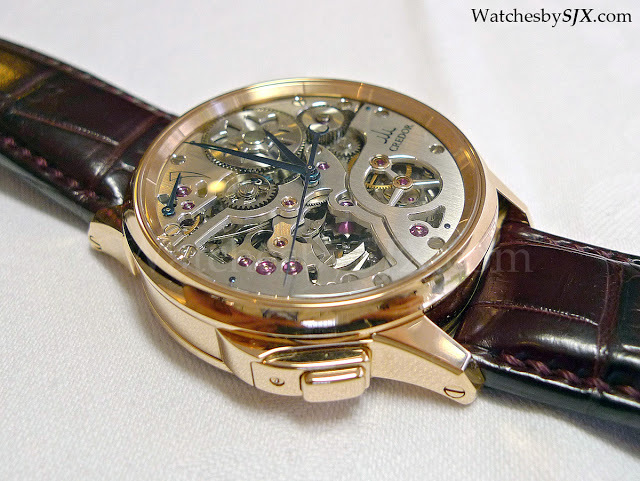 That is an extraordinary price, but this is an extraordinary watch. 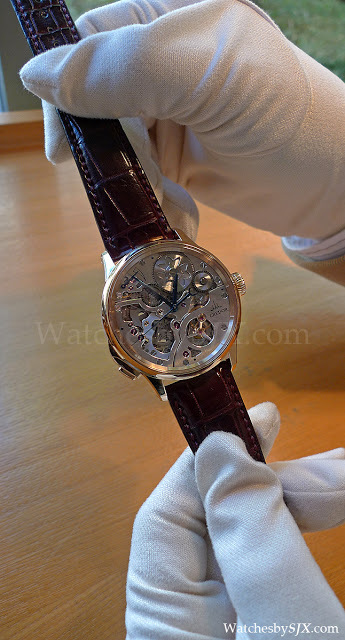 It was unveiled last year as part of the line-up to commemorate Seiko’s 130th anniversary. 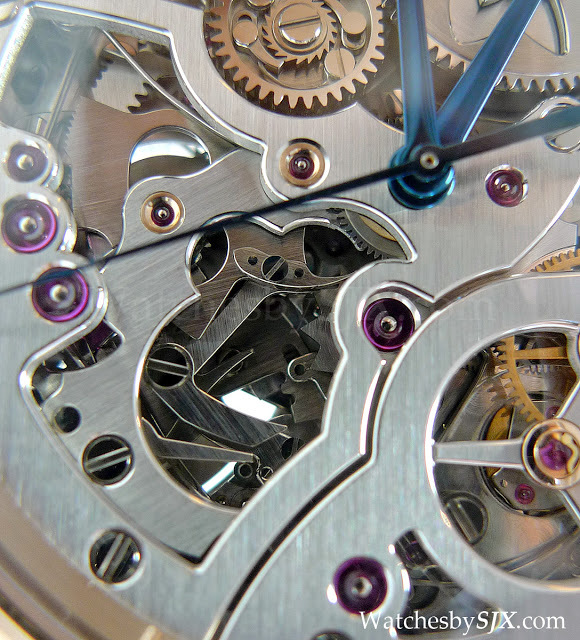 It is a decimal repeater – meaning it chimes the time on demand with hours, ten minute segments and then single minutes. 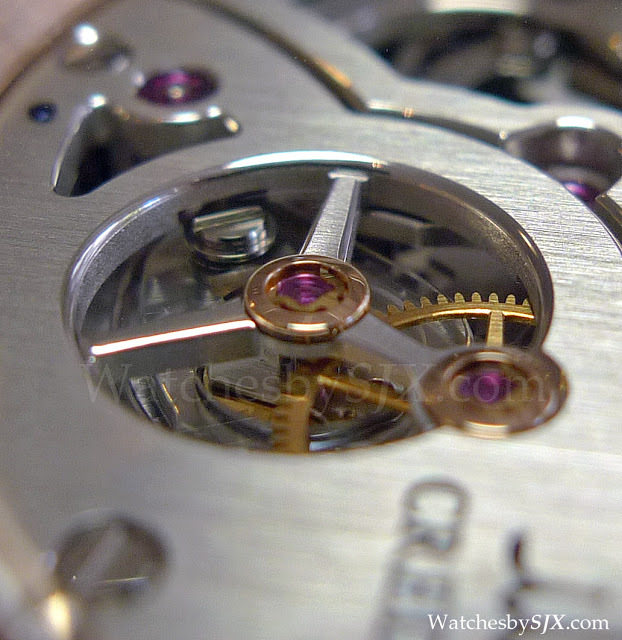 The video below shows the watch striking the time of 12:54. Incidentally, this is the second chiming watch from Seiko, the first being the Credor Sonnerie launched at Baselworld 2006. 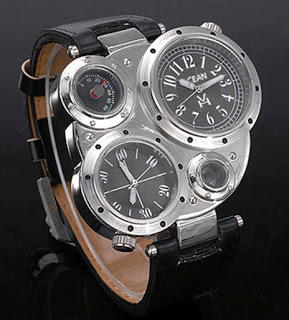 The watch has no dial so the movement is entirely visible. This reveals subtle motifs related to the Shiojiri region have been incorporated into the movement. 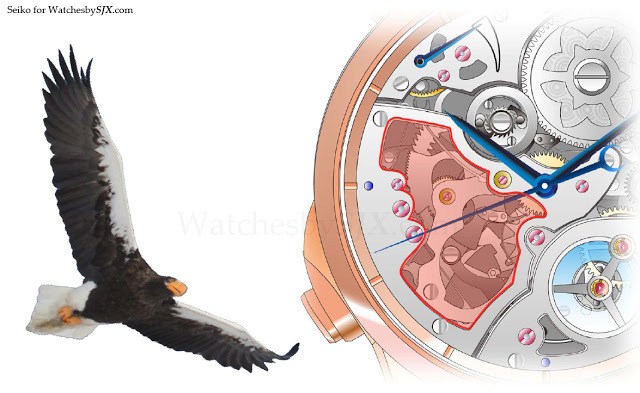 The opening that reveals the repeater gears is shaped like an eagle, a bird native to the Shiojiri area. And the openworked barrel for the mainspring carries the motif of the bellflower, which is the official flower of Shiojiri. All the spectacular movement finishing is visible. Everything is decorated to the utmost; notice the edges of the bridges, the screw heads, countersinks for jewels. 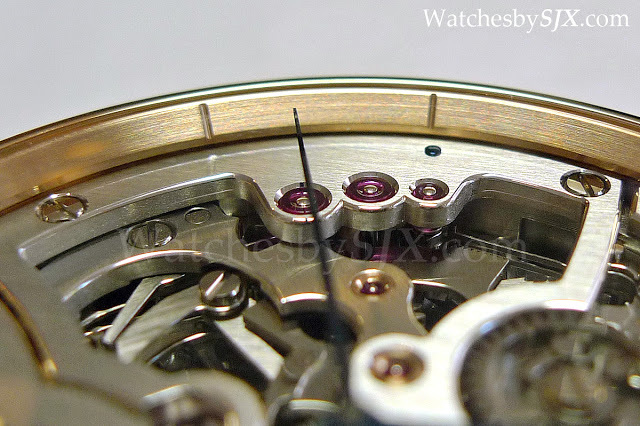 Though the movement decoration is traditional, the calibre has some interesting technology. 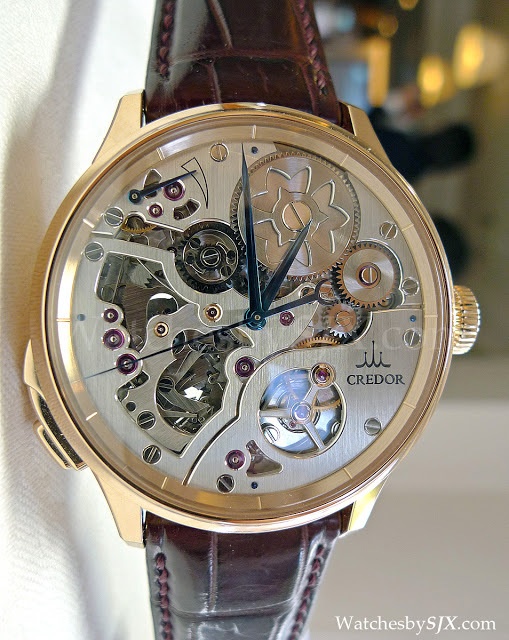 The Credor Minute Repeater is Spring Drive, a mechanical watch with an electronic regulator. It has a mainspring and barrel, as well as a mechanical gear train but with a flywheel regulator controlled by an electromagnet and integrated circuit. 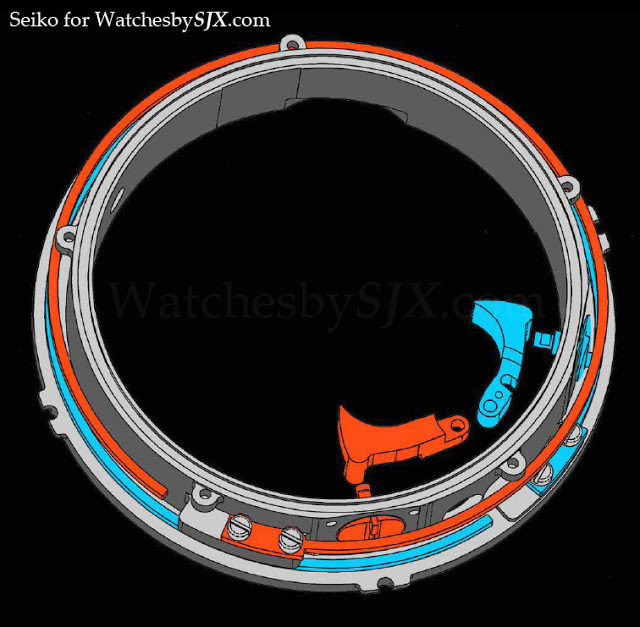 For traditionalist this hybrid mechanism can be difficult to swallow but the engineers at Seiko are certain this will last as long as a mechanical watch. 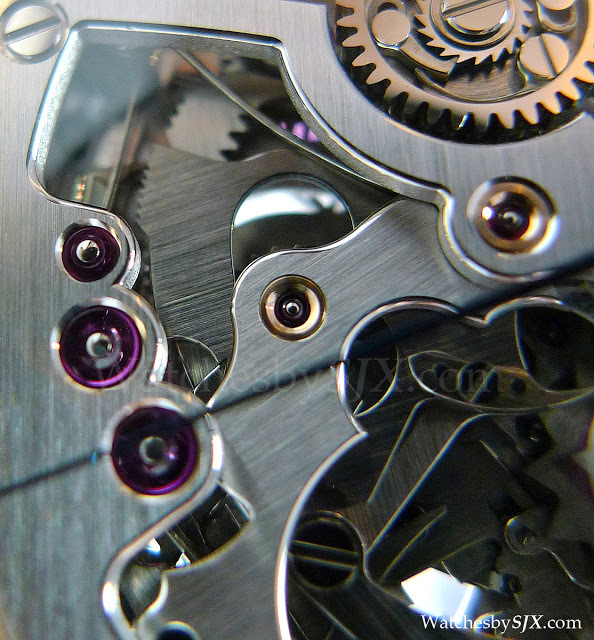 Because the Spring Drive runs silently – the flywheel spins without a peep – it is especially perfect for a striking watch since there are no extraneous sounds to interfere with the repeater chime. 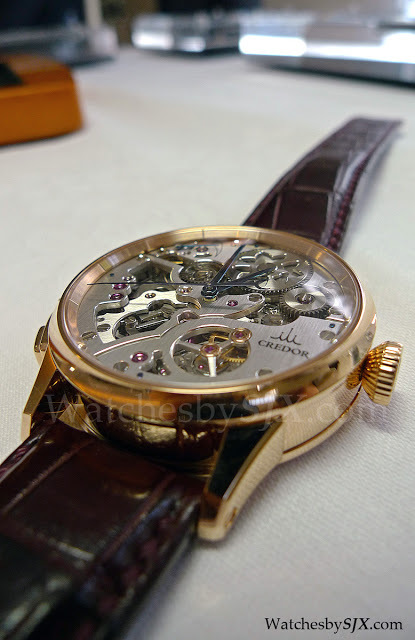 Seiko also uses a silent governor for the minute repeater, eliminating the buzzing associated with traditional regulators. It is similar in concept to other silent governors, with a pair of wings that spread out as they spin with the air around them acting as a brake, illustrated by the video. 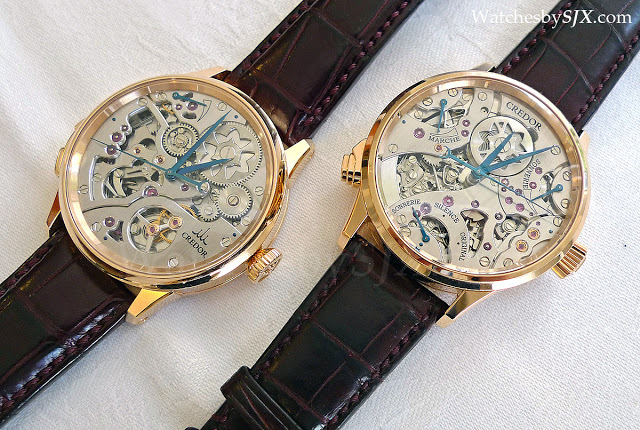 Besides the Spring Drive, there are several unusual aspects of the minute repeater construction. 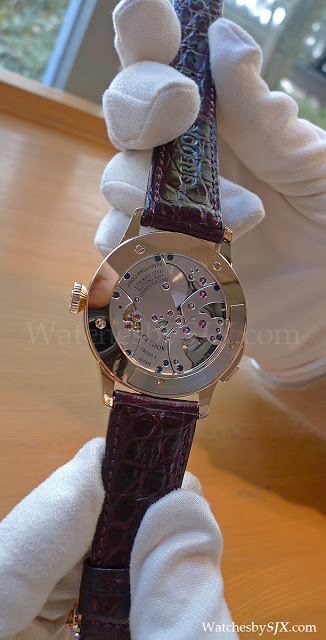 First, the case, which is 42.8 mm in rose gold. 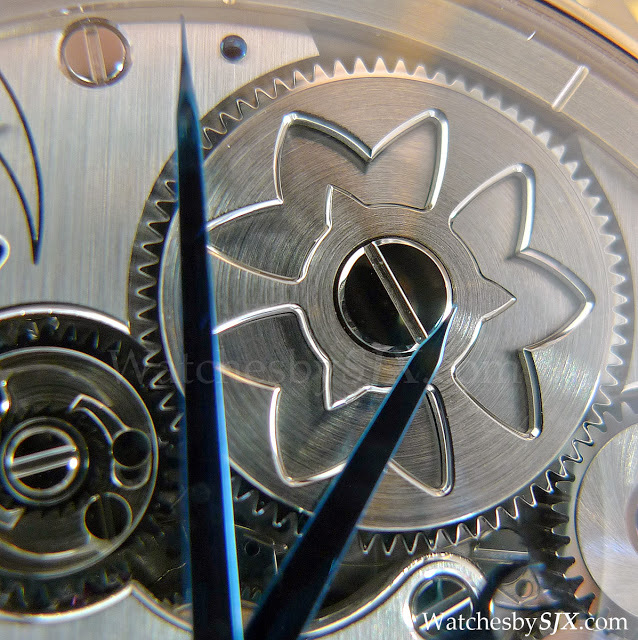 That specific case diameter is the result of the resonating chamber inside the watch. 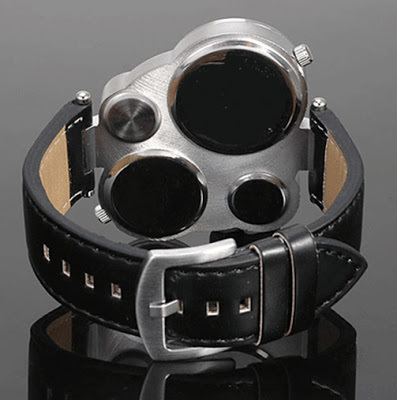 First, the movement is encircled by stainless steel ring. 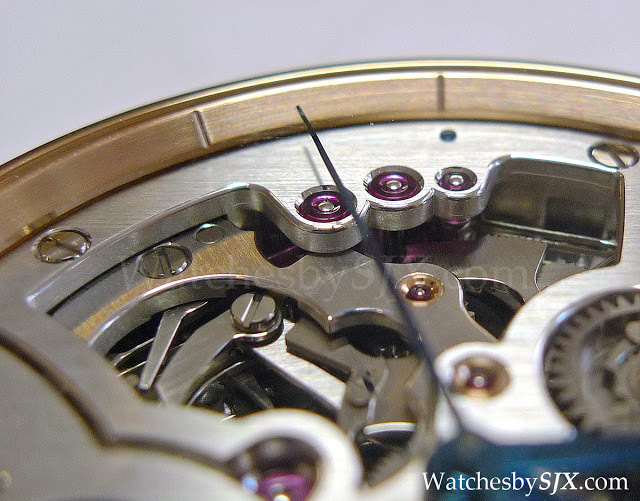 Around the movement ring there is a cavity for added resonance. 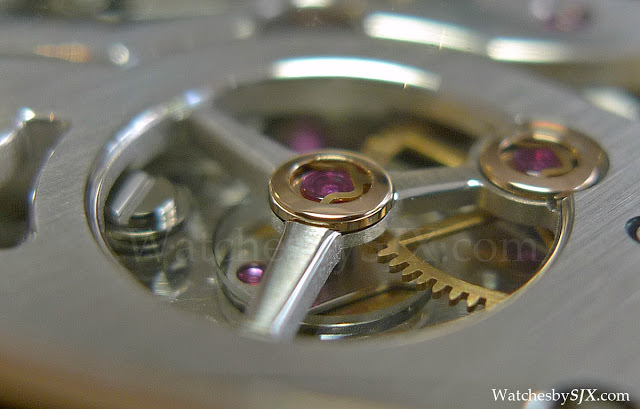 And the inner ring for the movement also improves water resistant (though the repeater is not described officially as a water resistant watch). 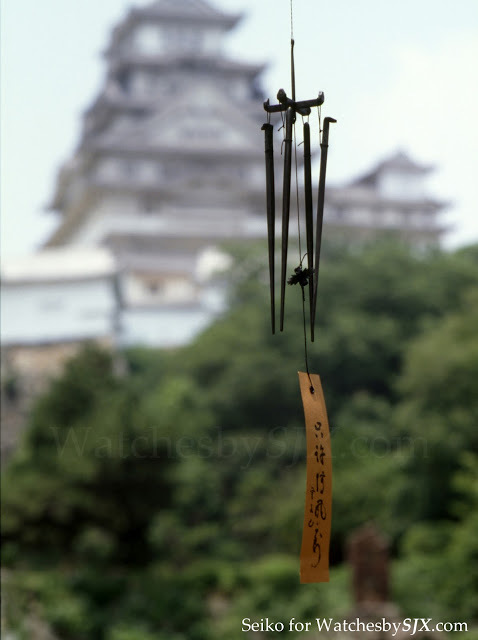 Because of this construction, the hammers cannot strike the gongs directly. Instead they strike a pair of pins that in turn strike the repeater gongs. The second unconventional feature is the fact that the repeater derives its power from the twin barrels, unlike traditional repeaters which have a separate all or nothing spring that is wound up by the slide action. 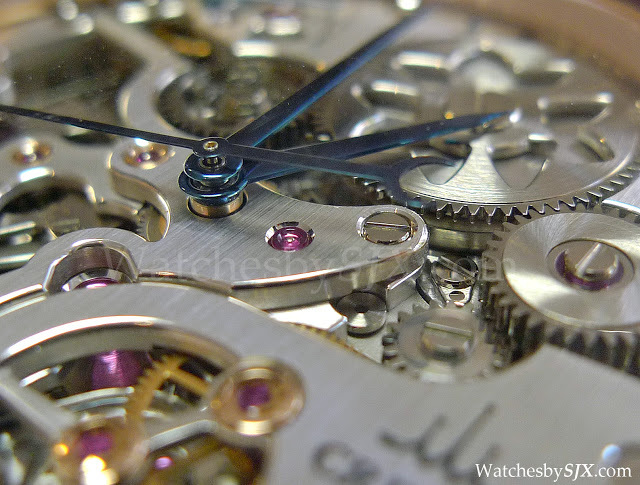 In order words, pushing the button on the case allows the repeater to draw power from the mainspring to chime. 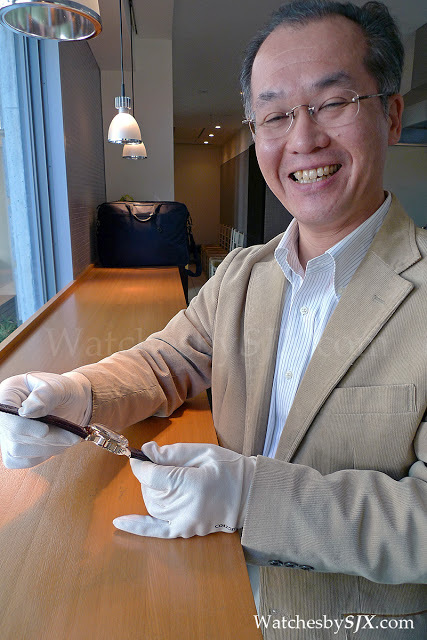 According to Seiko, the reason for this is to have as long a power reserve as possible. 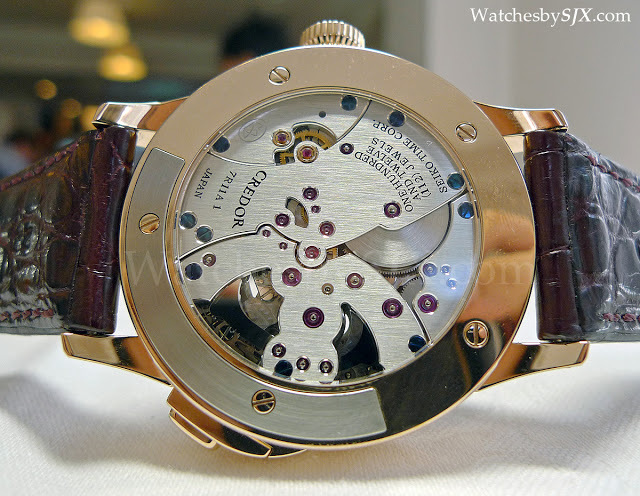 The movement has a pair of in-line barrels providing three days, or 72 hours of power reserve. 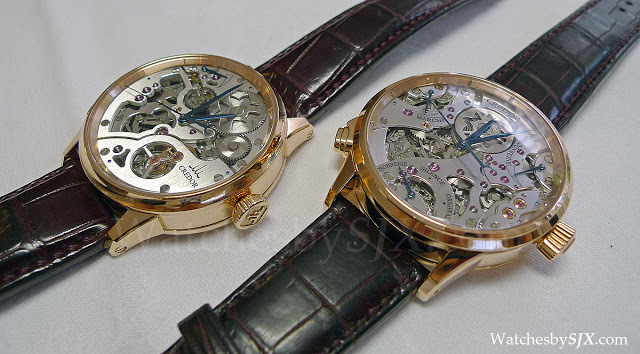 Each activation of the repeater diminishes the power reserve by between three and five hours, with 12:59 using the most power and 1:00 the least. But especially notable is the gong of the repeater. In an industry where companies try to outdo each other on historical provenance, this takes the cake. The gong alloy is made by Munemichi Myochin, the 52nd generation of craftsmen to run the family business. 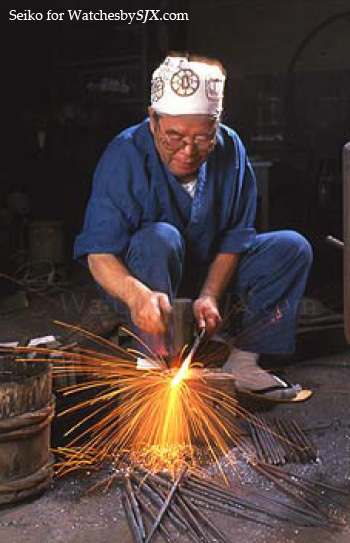 His family has been in the metal working business since the Heian period. That is over 800 years ago and about the same time the first mechanical clocks were built, give or take a century or two. The Myochin family is most famous for its iron samurai armour. When that business slowed down after the Meiji Restoration 150 years ago, they diversified into hibashi, the iron tongs used to handle the hot coals in domestic fireplaces.